Harry Houdini's onetime apprentice holds fantastic secrets about the greatest illusionist in the world. But someone wants to claim them...or silence her before she can reveal them on her own. Boston, 1926. Jenny "Wren" Lockhart is a bold eccentric - even for a female vaudevillian. As notorious for her inherited wealth and gentleman's dress as she is for her unsavory upbringing in the back halls of a vaudeville theater, Wren lives in a world that challenges all manner of conventions. In the months following Houdini's death, Wren is drawn into a web of mystery surrounding a spiritualist by the name of Horace Stapleton, a man defamed by Houdini's ardent debunking of fraudulent mystics in the years leading up to his death. But in a public illusion that goes terribly wrong, one man is dead, and another stands charged with his murder. Though he's known as one of her teacher's greatest critics, Wren must decide to become the one thing she never wanted to be: Stapleton's defender. Forced to team up with the newly formed FBI, Wren races against time and an unknown enemy, all to prove the innocence of a hated man. In a world of illusion, of the vaudeville halls that showcase the flamboyant and the strange, Wren's carefully constructed world threatens to collapse around her. 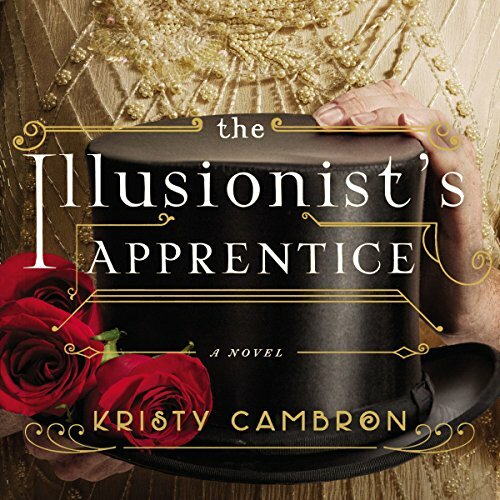 Layered with mystery, illusion, and the artistry of the Jazz Age's bygone vaudeville era, The Illusionist's Apprentice is a journey through love and loss and the underpinnings of faith on each life's stage.